Diane Lillian Simpson of Rimbey, Alberta passed away peacefully with her family by her side at the Rimbey Hospital on Wednesday, August 15, 2018 at the age of 71. Diane was born in Rimbey, Alberta on July 4th, 1947. She will forever be remembered as a loving daughter, sister, wife, mother, grandmother, and aunt. She loved her life on the farm and her greatest joy was being a caregiver to her parents, kids and grandchildren. Family meant everything to Diane and she centered her life around them. Diane loved the large family gatherings and being surrounded by all the young children. She also enjoyed her gardens being full of summer flowers. Diane looked forward to her yearly trips to BC and the USA with her close friends. Diane was a selfless individual who shared her love and humor to all those around her. Diane will be lovingly remembered and sadly missed by her best friend and beloved husband of 52 years, Bill; her daughter Michelle (Wayne) and their children Larissa and Logan of High River and her two sons, Dean (Shawna) and their children Ty, Jake & Dayton of Red Deer; and Steven of Rimbey; brothers John (Colleen), Bob (Elaine), Jerry (Carol), Brian (Jennifer), Danny (Lisa); sisters-in-law, Betty and Bernice; in addition to many nieces, nephews. She was predeceased by her father and mother, Louis and Lillian; father and mother in law, Fred and Adeline; brother in laws,Chuck and Mike and sister in law. Rose. 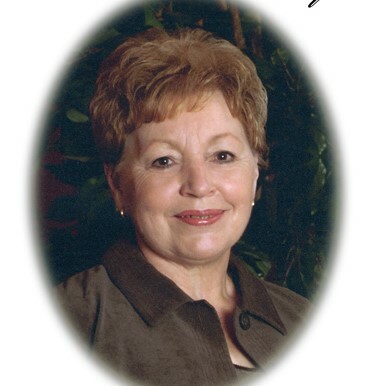 Diane’s celebration of life will be held at Zion Lutheran Church on Wednesday, August 22 at 1pm. If friends desire, memorial tributes in Diane’s Memory may be made directly to the Rimbey Hospital and Care Centre and Rimbey FCSS.